Marshal of France and politician and supporter of Napoleon, Dominique Perignon eventually supported the restoration of the Bourbons and Louis XVIII. He also voted for the execution of Marshal Michel Ney (division 29). 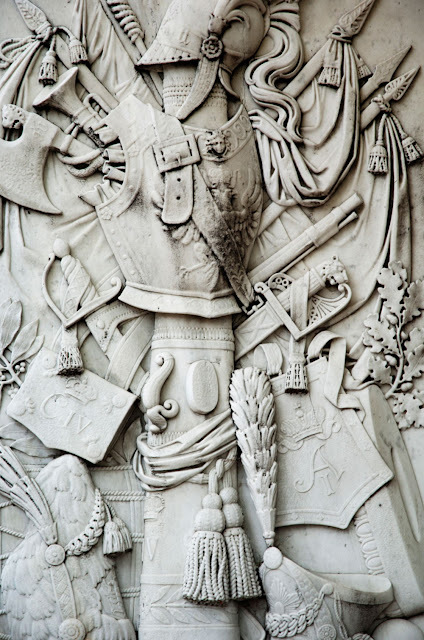 Bas-relief of military accouterments by Jean-Baptiste-Louis Plantar (1790-1879).